This statistic presents information on the connection between online harassers and their victims. 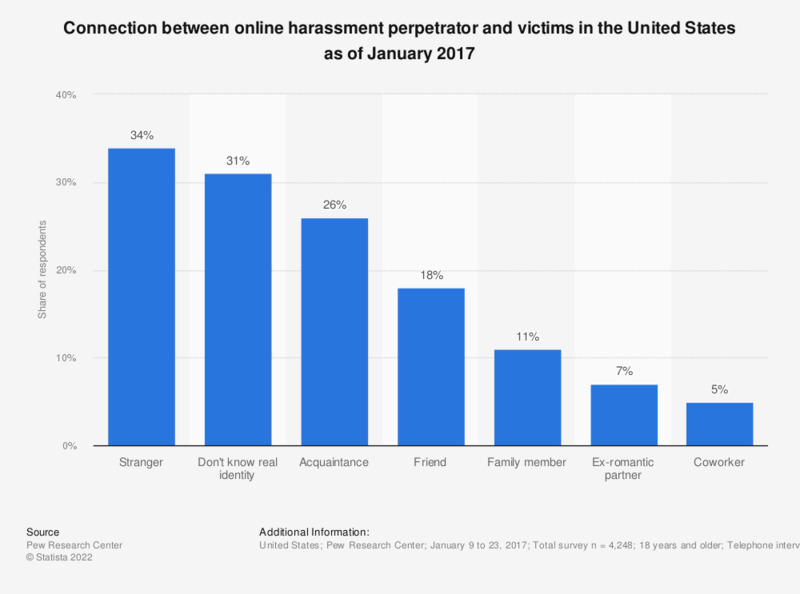 During the January 2017 survey it was found that 34 percent of U.S. online harassment victims had been harassed by strangers. Ex-romantic partners were ranked sixth with seven percent.